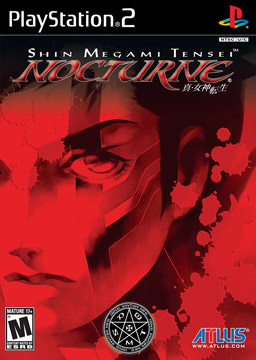 Known in Japan as Shin Megami Tensei III, this game is part of the Megami Tensei franchise. In the game the player takes the role of a boy, called Protagonist, in a post-apocalyptic Tokyo. The Protagonist is transformed into a half-demon in the game and can recruit demons to fight with them. Throughout the game the player decides what beings called The Reasons, who wish to guide the remaking of the world.